This is the official website of Uchida Co., Ltd., a leading manufacturer of press dies. Japanese automobiles are proud of the best level of performance in the world. which rands among the best in the world. playing an important role in both the Japanese and the world's automotive industry. 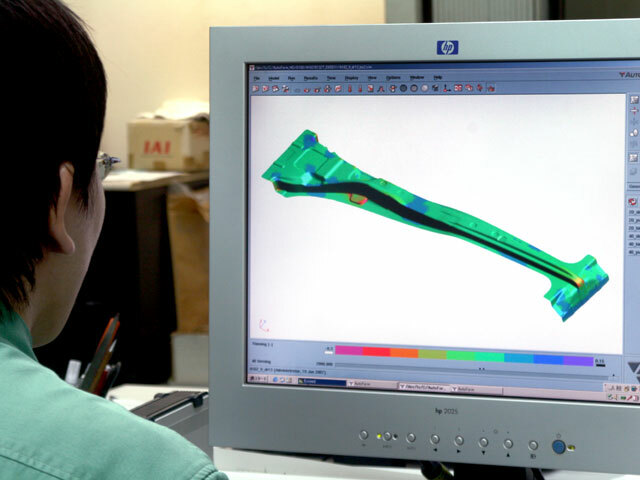 3D CAD design is essential for the design of increasingly complex dies. Simulations communicate design ideas better than words. Every day experienced engineers teach young engineers. Demonstration and emulation impart knowledge and skills acquired through long experience and intuition. Skills transmission is vital for competitiveness in die manufacturing and for maintaining originality. At the same time, we are fostering leaders who understand everything there is to know about die technologies. 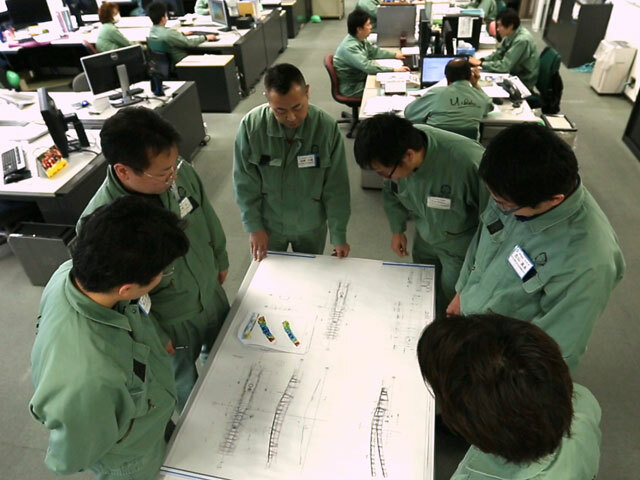 Uchida's engineers give lectures to graduate students at the Kyushu Institute of Technology and at other educational institutions.We also hold technical training seminars at our factory. In these ways we teach a new generation about die technologies,contributing not only to our own development, but to the advancement of the die industry as a whole. 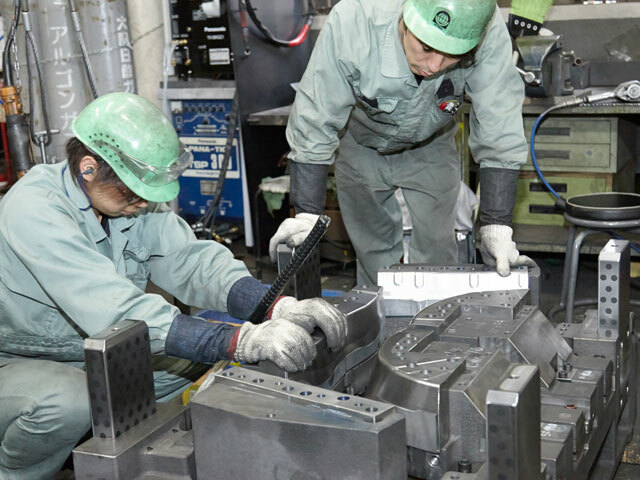 In 2002, Uchida developed the world’s first dies capable of mass-producing automobile center pillars made of ultra-high-strength steel (SPC980). 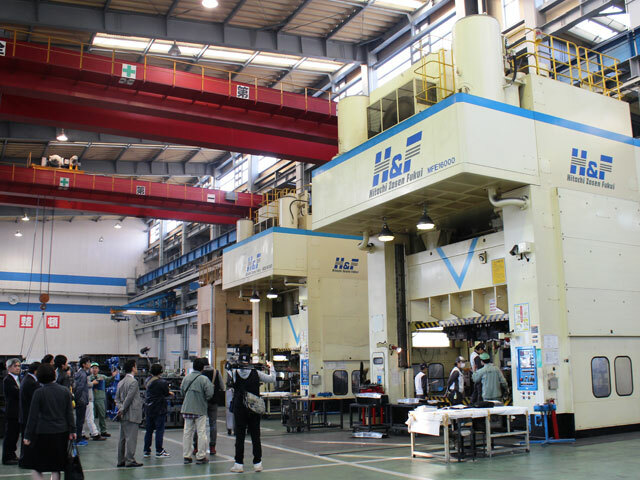 By pioneering new press die technologies for mass-producing parts made of tough, hard materials previously difficult to process, Uchida has maintained its position as the industry leader. 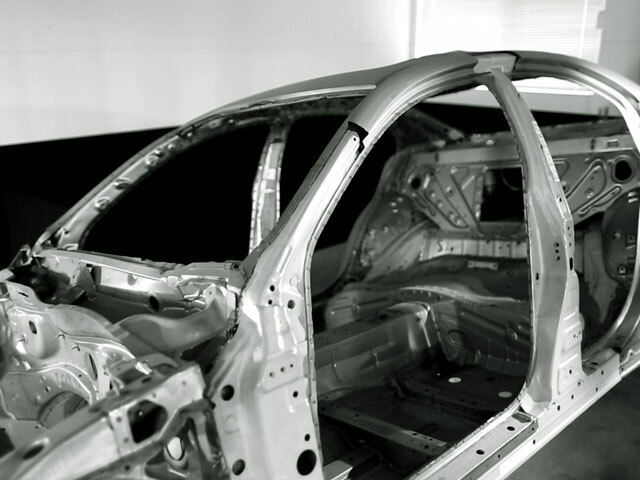 Cars will evolve by shifting from the use of metal parts to the use of strengthened plastic parts. 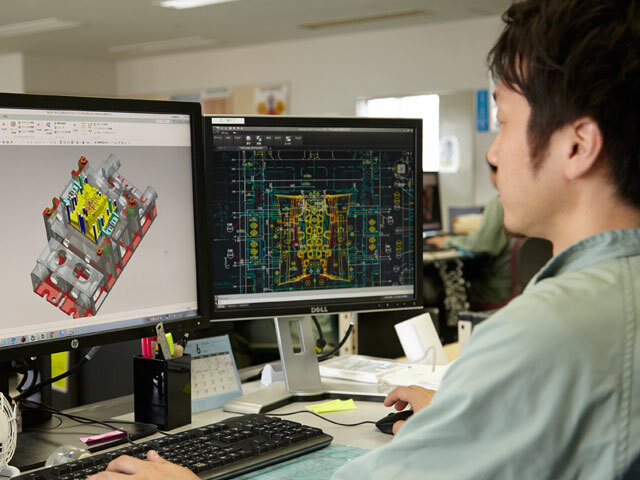 With an eye on the future of automobiles, Uchida seeks business development through new die technologies. COPYRIGHT © UCHIDA. ALL RIGHTS RESEVED.